While Liang Court has long lost its former edge of glory over the years, it still remains as the representative Japanese mall with tenants Meidi-ya, Kinokuniya, Marutama, Saizeriya Ristorante and Tampopo holding the business together (anybody remembers Daimaru?). There is another reason to pay them a visit – Dulcet & Studio. 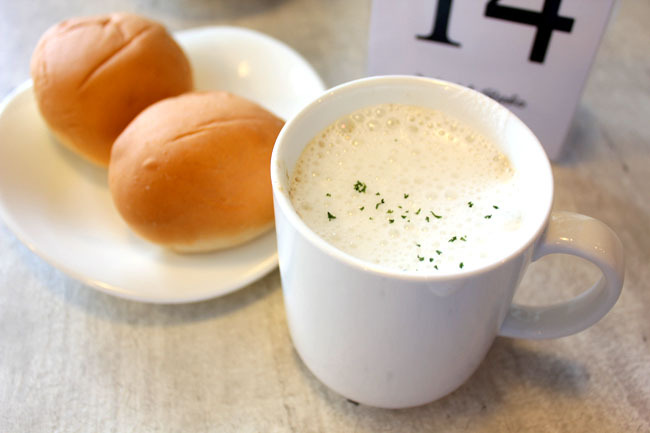 Dulcet & Studio is a whole new lifestyle café, with a contemporary yet cosy vibes – think Muji in a restaurant form. 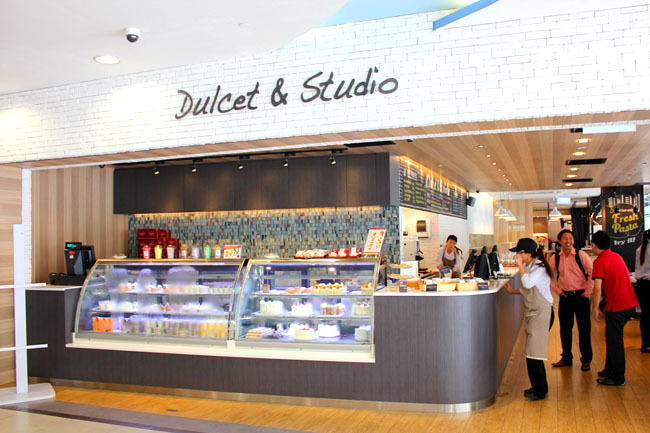 The name ‘Dulcet’ means sweet to the taste, while ‘Studio’ is the other part of the café where customers can sign up for cooking classes. I am already quite excited as I am all of a modern Japanese café, something that is quite lacking in Singapore. The vibes are good too, and having soups served in little cups is just so wonderfully Japanese. 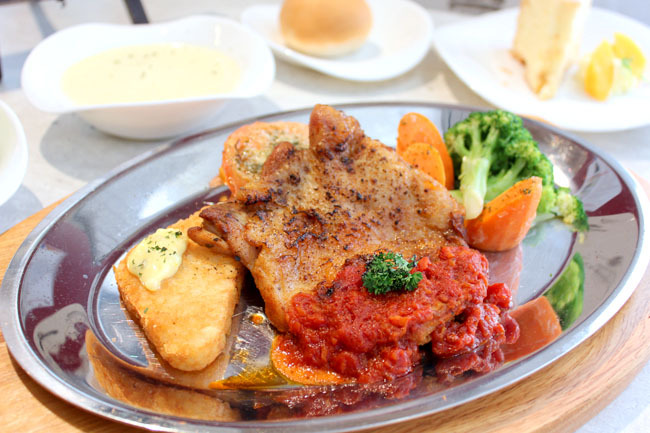 Expect a mixture of Western meets Japanese cuisine including specialty pasta, lamb rice, beef spare rib stew, fish & chip. Lunch and dinner sets are served at a very reasonable price of below $15 and $20 respectively. 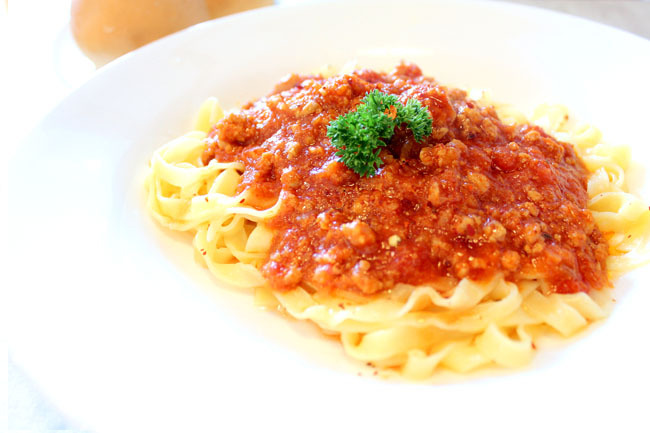 All of their specialty pasta is imported from Hokkaido, which means that the noodles are more chewy and flavourful. 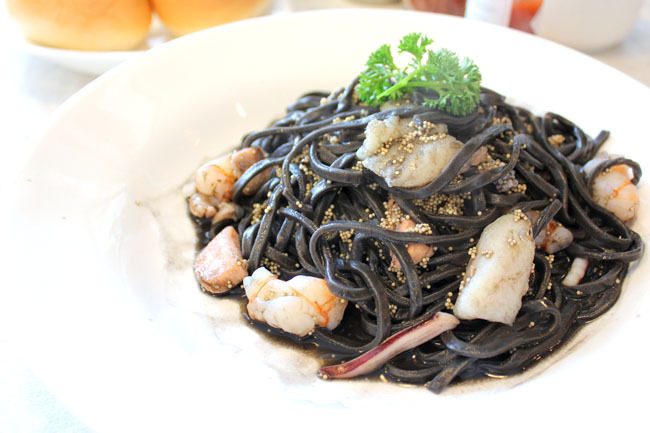 I had the signature item – the Dulcet Special’s Seafood Black Ink Tagliolini Pasta ($14.80). It did take a little while to get used to the chewier texture. Though flavours are definitely a lot lighter than its Italian counterpart, this did not wow me. I much preferred the Black Pig Bolognese Fettuccine Pasta ($12.80) which reminds me of tomato based bak chor mee pok. The meat sauce is salty-sweet, and ladies would appreciate this as it does not leave you overwhelmed or over-full for lunch. Really, you would save your tummy space for desserts, where the cream puffs, chiffon cakes and tarts would leave you holding your breaths. 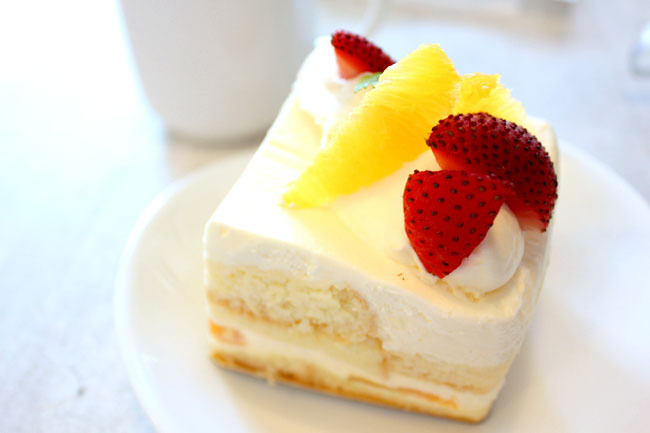 If there is only room for one cake, go for the Scoop cake – essentially a fruit cake very soft and fluffy, which my friend Karen described as “a little piece of heaven”. 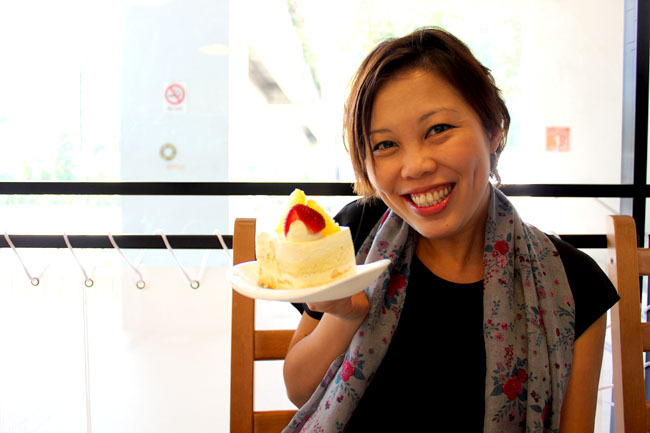 The desserts come from downstairs Tampopo Deli, and yes, they belong to the same parent company which first brought you black pig ramen in Singapore. ehhhh, I thought dulcet means pleasing to the ears (as in music/sound).